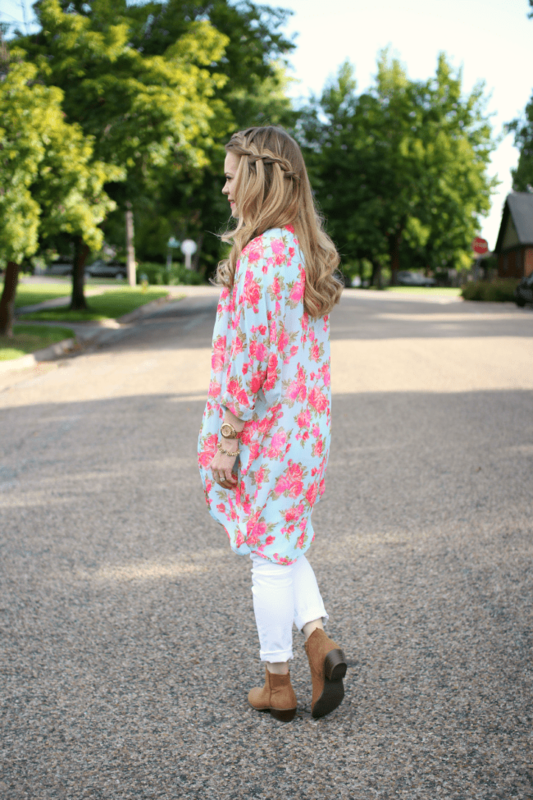 Floral Kimono features my new favorite piece from Sugar Love Boutique. 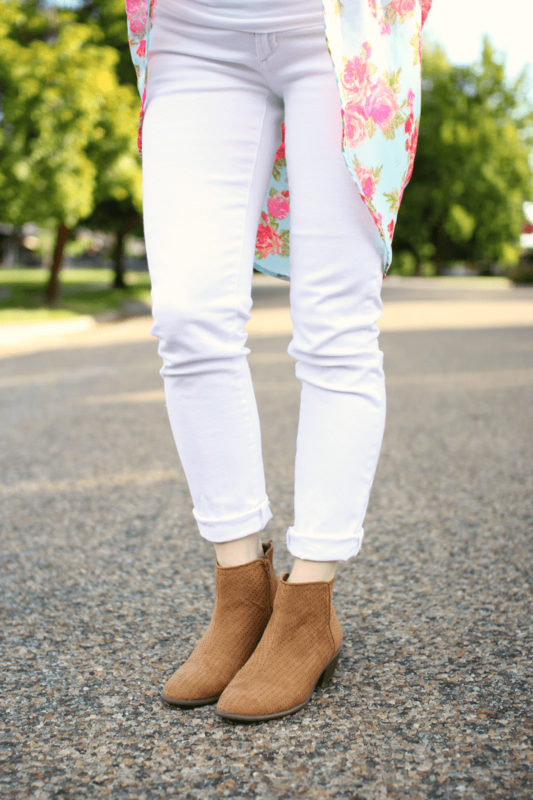 It is called the Cici Kimono Cardi and I knew instantly it would pair perfectly with an all-white ensemble. “No white after Labor Day” is a thing of the past and I love pairing white pieces together, probably obvious from these two posts, White Washed and Rule Breaker. Not to mention how nice it is to pair non-maternity pieces with maternity essentials like these jeans and tee! Check out Sugar Love Boutique for other great steals and style ideas! I especially love the Jillian Dress and think the Dolly Sweater would be absolutely perfect for Fall! Be sure to check out Sugar Love Boutique on Instagram, Facebook, Twitter, and Pinterest!